On the day of Mediaweek’s visit to the Fox Sports HQ in Artarmon, we met an upset Socceroos fan, Luke McIlveen. The overcast, rainy Sydney day reflected his mood. “It’s pretty bleak out there and it’s also a bleak morning in Australian sport for those of us who stayed up overnight to see the Socceroos spectacularly fail. It was not the result we were hoping for,” McIlveen told Mediaweek. He is the executive editor of Fox Sports’ digital home, foxsports.com.au. It is one of the biggest local players in the space. While the Socceroos’ expedition in Russia was cut short, McIlveen’s NRL and AFL teams of choice, Sydney Roosters and Sydney Swans, are still in the running to win their respective premierships this year. 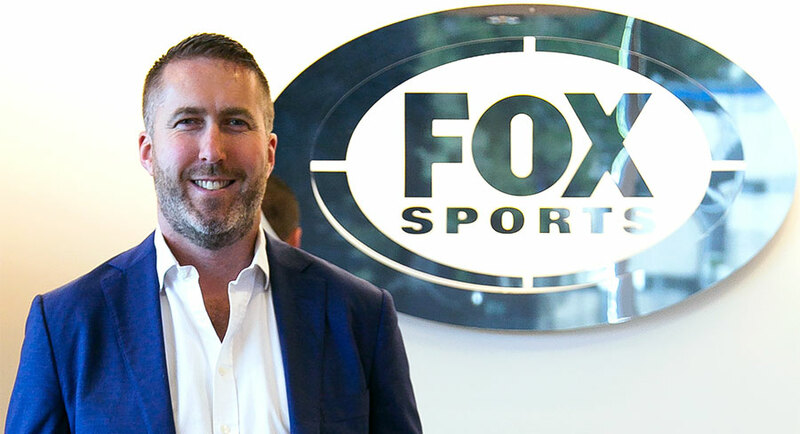 McIlveen joined News Corp-owned Fox Sports in the second half of last year. This marked his return to News Corp, where he has worked for most of his career. 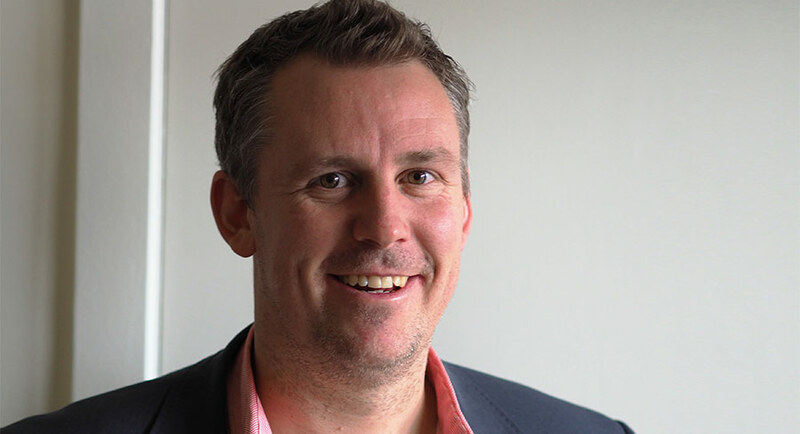 McIlveen has previously served as the editor of The Manly Daily and news.com.au, where he was credited with taking the news website from #3 to #1 in Australia – a position that it has largely maintained in the last five years. The network managed a total of 21 nominations and ended the night with a network-best of eight wins. “There are significant, complementary synergies between the businesses and by bringing the two together, Emprise will be able to scale its content and marketing capability,” Emprise group CEO Rob Gallagher commented. 5 Seconds Of Summer have again managed to hold on at #1 as their fans continue to stream their hit Youngblood. This is the sixth week at the top for the single. The singles chart has been dominated this year by Youngblood and two other tunes – the longest run at the top was 11 weeks for Drake’s God’s Plan while the year started with Ed Sheeran’s Perfect at #1 for five weeks. There was only one other chart debut in the top 50 this week and then only just – Demi Lovato with Sober was new at #50. While Panic! At The Disco topped the chart this week, the single High Hopes re-entered the chart at #44 for a second week on the chart. There was much more action on the albums chart than the singles chart this week. There were six new arrivals in the top 50, with all of them finding a place in the top 20. 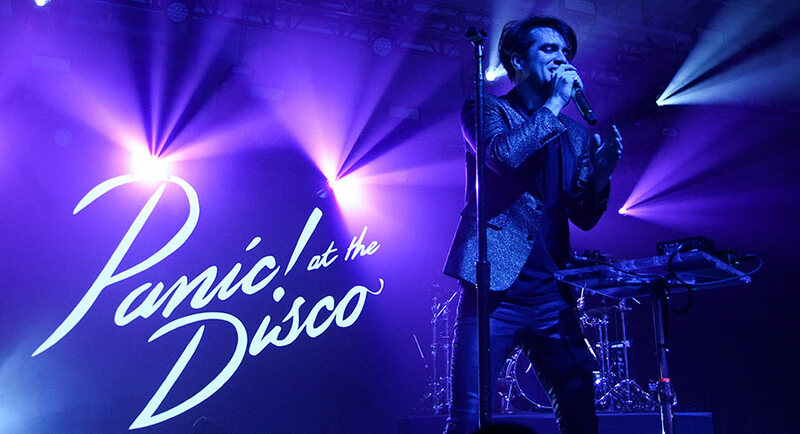 The strongest debut came from US rockers Panic! At The Disco as their sixth album Pray For The Wicked arrived at #1. This is the band’s second #1 album after Pretty. Odd. in 2008. #9: Nine Inch Nails with Bad Witch. This is the ninth album from the US rock band led by Trent Reznor. Five of those albums have peaked in the top 10 with 1999’s Fragile performing the best, peaking at #2. #10: Luca Brasi with Stay – the Tasmanian band’s fourth album and first to go top 10. #11: Jack River with Sugar Mountain. Debut album from the Sydney singer-songwriter also known as Holly Rankin. The album name is a tribute to Neil Young after his 1964 song. #15: Dan + Shay with the self-titled Dan + Shay – the third album from American country music duo Dan Smyers and Shay Mooney. #19: Bebe Rexha with Expectations. Debut album from the US singer-songwriter just made the top 20 despite the presence of the hit single Meant To Be. That former #2 single however was previously released on the EP All Your Fault: Pt. 2. 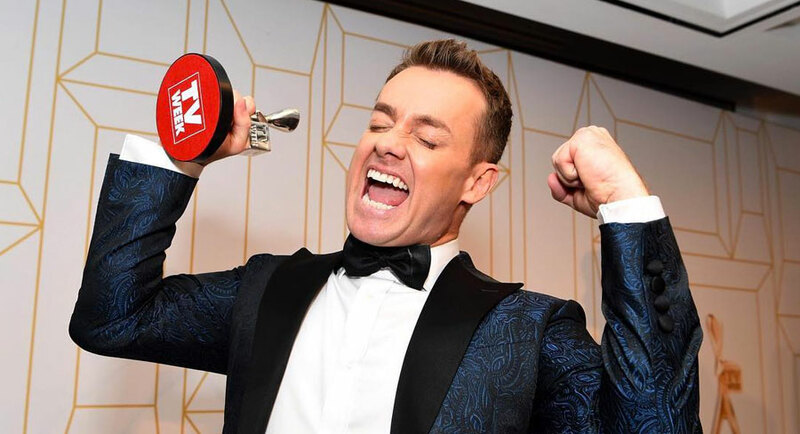 It was up against the TV Week Logies, but House Rules still managed to reach a metro audience of 915,000 – the biggest audience after 7pm last night. It also performed well in the key demos. With the threat of a triple elimination looming, the judges revealed their scores for the first Backyard Battle. Kim & Michelle were celebrated for their creativity at Mel & Dave’s with judge Laurence Llewelyn-Bowen (LLB) calling their shipwreck island “genius”. 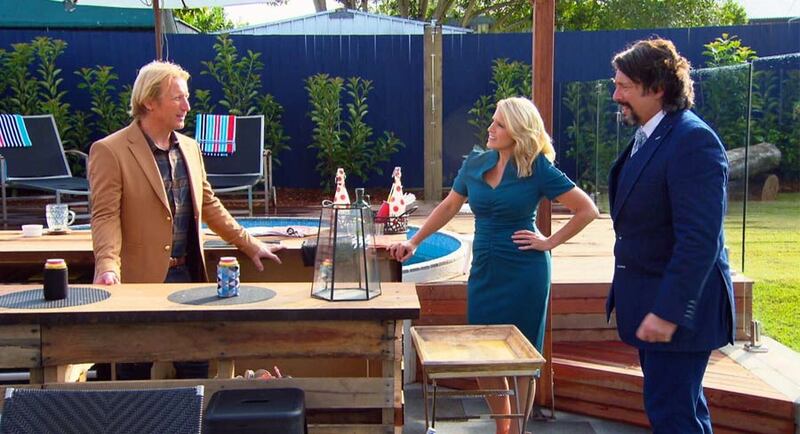 Meanwhile, Jess & Jared’s last-minute design change in Josh & Brandon’s backyard failed to pay off as the SA team was slammed by the judges, while LLB’s brutal takedown of Chiara & David’s zone left them near tears. Sunday Night then did 567,000 followed by Carl Williams’ Women on 289,000. 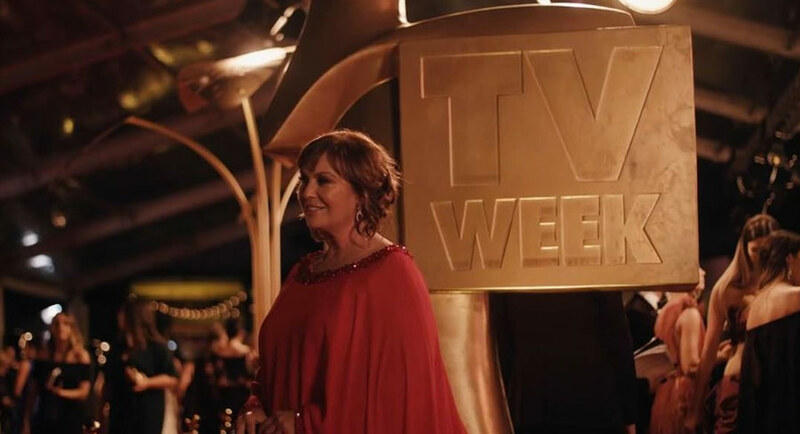 Real red carpet addicts might have already overdosed on the two hours’ live coverage from the TV Week Logies at the Gold Coast on 9Now with Shelly Horton hosting solo. But the shorter FTA version went to air at 7pm and featured a three-way hosting with Sonia Kruger, Leila McKinnon and Sylvia Jeffreys. While the focus was on arrivals, viewers and people interviewed on the red carpet were all talking about McKinnon’s shimmering Beyoncé-inspired outfit, or, as David Gyngell put it, “glammed up meter maid”! The red carpet arrivals show had an audience of 840,000 which was down just a little from 867,000 in 2017. The long, long TV Week Logies award show did 851,000, down from 940,000 last year. Expect this year’s number to shrink even further after the revised time-corrected number is released. The announcement of the Gold Logie winner didn’t happen until 11.30pm and the show finally wrapped about 11.40pm. The program highlights included Hughesy’s opening monologue, which was as witty and laugh-out-loud as usual. Ignore any click-bait today suggesting he was brutal though. The great Tony Martin should have secured a regular job as the “voiceover guy”, as BuzzFeed referred to him in a social media post. The 60 Minutes induction into the TV Week Hall Of Fame was a real highlight with Gerald Stone, Jana Wendt and all the reporting team over the years assembled. Stone was left speechless as tears rolled down his cheeks and there was a nice tribute to Richard Carleton. It was great to see Bert back on the Logies stage although he should have cut the gags, which were from another era. The music only seemed to prolong the evening without any real highlights. Grant Denyer’s acceptance speech was wonderful as he admitted he thought Amanda Keller was going to win. With tears streaming down his face he revealed he was in a bad place before he secured the gig hosting Family Feud. As to winning after the show had been axed, Denyer was not alone. The nominee and winner lists were both full of winners from programs that had either finished or were yet to confirm their futures. 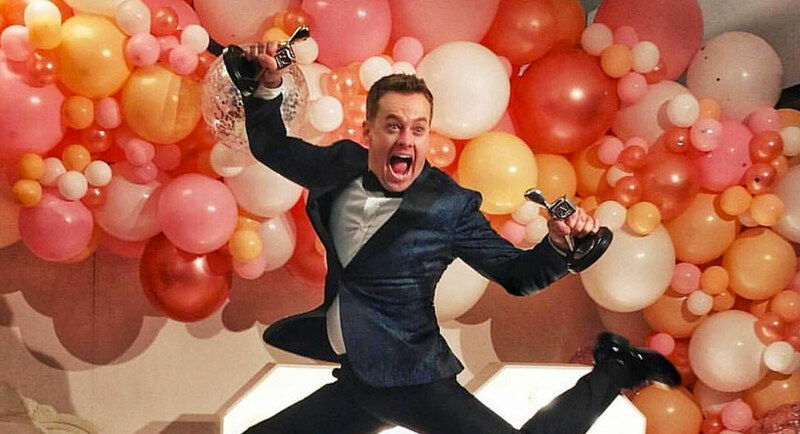 TEN was the big winner at the TV Week Logies with eight awards. The channel’s smart PR campaigns for various nominees, which also got some significant assistance from the ABC, helped secure those victories. Going up against the Logies Red Carpet plus House Rules saw The Project on 392,000 after 7pm. The start of Royal Week on MasterChef managed 718,000 with the show giving up demo leadership to House Rules. Two episodes of NCIS then did 290,000 and 188,000. Grand Designs New Zealand was on 534,000 following the ABC News. It was then time for the final episode of Mystery Road, which came to a stunning conclusion with a very memorable showdown between Judy Davis and Ernie Dingo. No more detail in case you have yet to watch on iview. The final episode then did 572,000 after the penultimate episode did 525,000 a week ago. After a doco on film music did 120,000, the channel showed the second of two Mystery Road movies – Goldstone – with just 57,000 staying until the end close to 1am. A repeat episode of The Mystery Of Stonehenge did 232,000 at 7.30pm. The midnight round of 16 FIFA World Cup match between Spain and Russia was on 220,000. Sunday morning’s 4am Uruguay v Portugal game did 163,000. At the halfway mark of 2018, Ten chief executive Paul Anderson tells The AFR the network would have entertainment programming across the summer and it would make announcements soon. The network is facing a summer without major sport after losing the rights to the Big Bash League. “We know the way the cards have been dealt. We know what we are programming against in January in particular,” he tells The AFR’s Max Mason. Anderson said the broadcaster had never had the level of domestic investment in its schedule it has now. 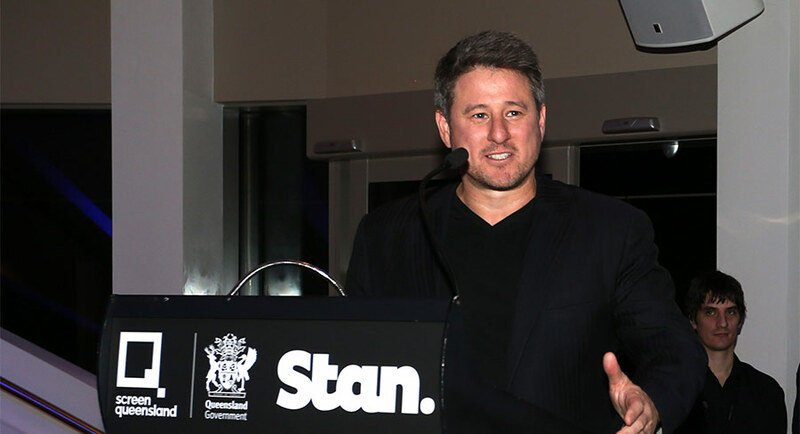 Anderson also dispelled rumours that Ten was looking to exit its ad sales arrangement with News Corp’s Multi-Channel Network, which it partnered with when Foxtel took a stake in the business when it was listed in 2015 before it was sold out of receivership with CBS. “It’s business as usual for us with MCN,” he said. Shareholders of 21st Century Fox are set to meet July 27 to vote on Walt Disney’s $US71.3 billion offer for its entertainment assets, reports Bloomberg. The special meeting is scheduled for 10am at the New York Hilton in midtown Manhattan, Disney said in a regulatory filing. Disney shareholders will also consider the transaction. Disney won antitrust approval for its deal from the US Department of Justice this week giving it another edge over Comcast, which is also vying for the assets. The Fox board last week accepted Disney’s sweetened bid for a trove of media properties ranging from The Simpsons to X-Men, favouring its offer over Comcast’s interest for a second time. 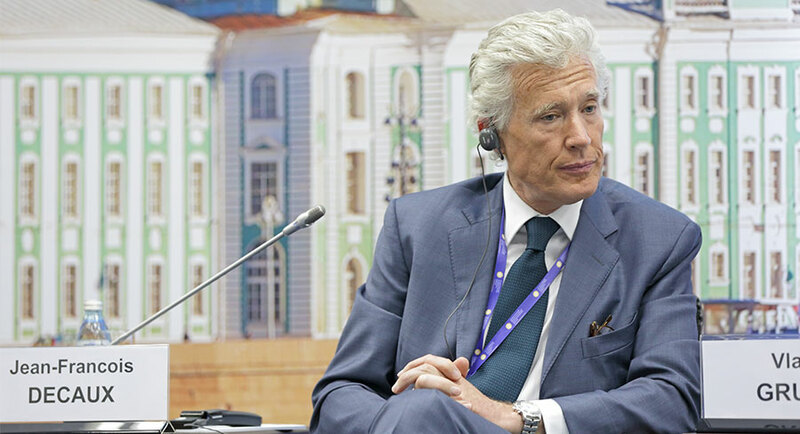 JCDecaux chairman and co-chief executive Jean-François Decaux says the potential $1.2 billion acquisition of APN Outdoor will allow the French advertising giant to ramp up its investment in Australia, reports The AFR’s Max Mason. “We believe the combination of APN, which is primarily in the billboard and transport segment, with Decaux, which is only in street furniture in Australia, will enable us to accelerate the investment in the digitisation of our portfolio. 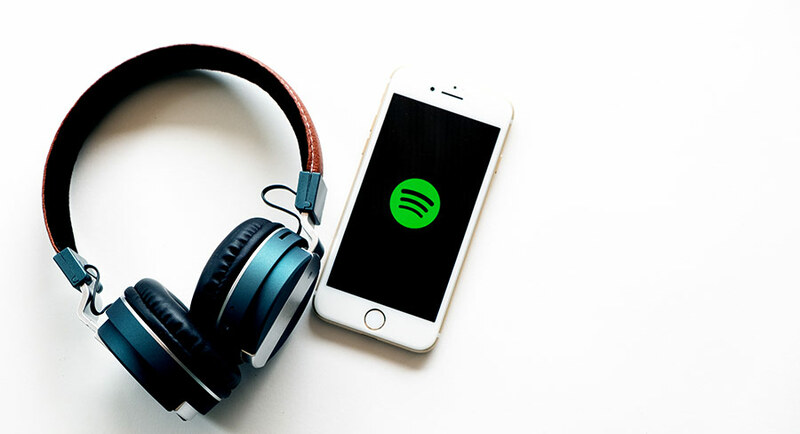 The millions of Australians who stream music for free on Spotify will on Monday become the first in the world to be able to skip the ads, but the company is betting on personalisation to stop them skipping too much, reports The AFR’s Michael Bailey. Advertisers will only pay for completed listens or views of ads under the new arrangement, which will use machine learning to make the ads more contextual and tailored, and has also seen Spotify sponsor a program to help creative agencies make more compelling audio ads. Australian users of Spotify’s free tier were the first to get the more interactive ad experience because the sales team here was considered internally one of the strongest in the company, according to Australia/New Zealand head of sales Andrea Ingham. Spotify Australia nearly broke even in calendar 2017. Sky News has suspended a producer for allowing a derogatory comment made towards Greens senator Sarah Hanson-Young by Liberal Democrats senator David Leyonhjelm to be highlighted during a morning political commentary program, reports The Australian’s Scott Murdoch. The broadcaster tweeted that it would investigate how the strap was allowed to be published during the Sunday morning show hosted by former Coalition politician Ross Cameron and commentator Rowan Dean. “Sky News wishes to apologise to Senator @sarahinthesen8 for broadcasting appalling comments by Senator @DavidLeyonhjelm earlier today, and for highlighting them in an on-screen strap. A producer has been suspended pending an internal investigation,” Sky News wrote on Twitter. Entries for the Walkley Awards are now open to all Australian media for work published on any platform between September 1, 2017 and August 31, 2018. Entries close at midnight on Friday August 31, 2018. 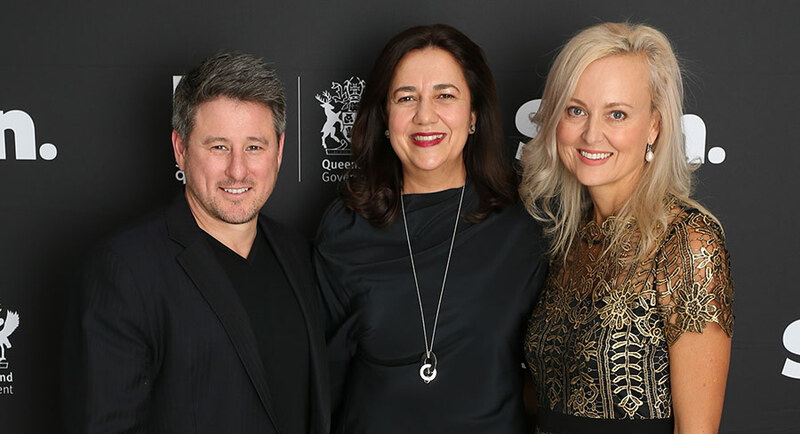 The Walkleys recognise excellence in Australian journalism across 30 categories, on all platforms including photojournalism, documentary, non-fiction books and cartoons. As always, digital journalism can be entered into any category. The Walkley awards are judged in a two-tiered process. In each category a panel of three senior journalists chooses three finalists, and the Walkley Judging Board picks the winner. The Gold Walkley – Australian journalists’ most coveted prize – will be awarded to one of the category winners. The Walkley Foundation also invites the public to submit nominations for Outstanding Contribution to Journalism, an award chosen by the Walkley Directors. Niche publishers fear they will be locked out of the federal government’s $48 million fund established to help small and regional Australian media businesses stay afloat, reports The Australian’s Dana McCauley. Publishers are waiting anxiously to find out how the Australian Communications and Media Authority, which has been tasked with administering grants of up to $1m, will apply strict eligibility criteria – including a requirement for “public interest journalism” that informs a wide audience. Former Bauer magazine publisher Robyn Foyster, who founded online women’s lifestyle publication The Carousel in 2014, said a narrow interpretation risked locking out small publishers. She said the competition “couldn’t be tougher” in the digital publishing landscape, with independents fighting to carve out a niche hard hit by the tech giants’ dominance. “If the big guns are struggling with Facebook and Google, then let me tell you, further down the food chain smaller publishers have done it tough,” she said. Network Ten is remaining tight-lipped about its upcoming Pilot Week, when it will air seven to eight new shows with the aim of picking out the best-performing to commission for full seasons next year, reports The AFR’s Max Mason. However, Ten chief content officer Beverley McGarvey has revealed one format to The Australian Financial Review: Taboo with comedian Harley Breen. Pilot week allows networks to test a show before committing to a full season of production. “It’s such a brilliant idea – it’s a format out of northern Europe but it’s not the sort of thing anybody in this market would have done any other way,” McGarvey said. TV presenter Sam Armytage has published an article about natural beauty, immediately sparking backlash from readers, reports News.com.au’s Alexis Carey. In a column penned for Stellar magazine published on Sunday, the 41-year-old Sunrise co-host opened with a metaphor, comparing “less-than-perfect” supermarket fruit to “our societal obsession with appearance and perfection”. But Armytage also went on to plead with the public not to judge her over her looks. “And don’t attack me for being beautiful. I have a team of hair and makeup PROFESSIONALS getting up at the crack of sparrows each day to make me look good,” she wrote. Read Sam Armytage’s column here. Barry Hall’s former Triple M colleagues have labelled his vulgar comments about a co-panellist’s wife “disgusting, offensive and unacceptable”, report Fairfax Media’s Anthony Colangelo, Jon Pierik and Goya Dmytryshchak. Hall, a Sydney Swans premiership captain, was sacked by radio station Triple M on Friday night for crude comments he made in the lead-up to an AFL match between the Western Bulldogs and Geelong at Etihad Stadium. Amid the fallout, Hall issued an apology on Saturday to the Montagnas, declaring he was “a proud father and dedicated partner and have nothing but respect for women”. The comment was made before the Friday-night clash, as part of a discussion between the Triple M panel of commentator Mark Howard, former player Nathan Brown, journalist Damian Barrett, Hall and Montagna. On Saturday, at the start of The Saturday Rub program, Barrett read out a statement released by Triple M’s head of content Mike Fitzpatrick on Friday night, about three hours after the comment went to air. “Tonight on Triple M Football there were unacceptable and inappropriate comments made by a member of the commentary team,” Barrett said. Channel 10 is reviving its old format Sports Tonight, with former host Matt White expected to return to front the weekly show, reports News Corp’s Alice Coster. The rebooted Sports Tonight will run on Sunday nights with White and a panel of experts, such as ex-Hawk Josh Gibson. The Logie-winning show ran from 1993 to 2011 before being boned. Modelled on the American version of the same name, the weeknight half-hour sports news and information program was hosted by Tim Webster after Ten Late News. The shows merged in 2006, accompanied by much criticism, before being axed in 2011.